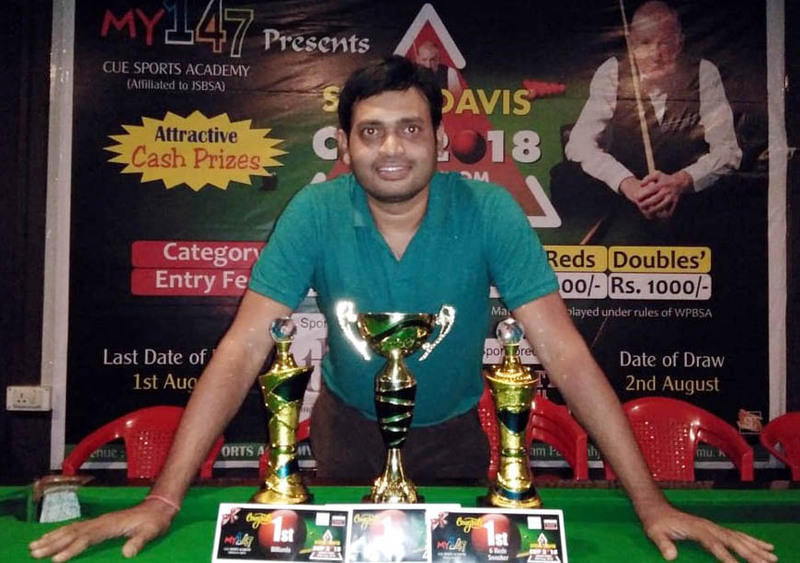 Leading Odisha cueist Subrat Das created history by bagging a hat-trick of titles in the Steve Davis Cup Open Billiards & Snooker Tournament, which was held at My 147 Cue Sports Academy in Ranchi, Jharkhand from August 4 to 9, 2018. He won the three titles in billiards, 10-red snooker and 6-red snooker. Das first won the billiards title, defeating local favourites Yash Kinger in the final 400-201. He earlier prevailed over Sidharth Raj 310-95 in the quarterfinals and top seed Anseth Perera 300-189 in the semifinals. Bhubaneswar-based Das clinched a double by adding the 10-red snooker crown on August 8. Odisha cueists swept the top honours in 10-red snooker as Soubhagya Behera finished runner-up after losing to Das in the final by 3-4 frames. Multi-time state champion Das completed the hat-trick by emerging champion in 6-red snooker. 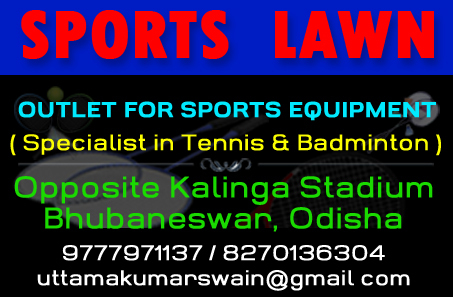 Soubhagya Behera again finished runner-up after he was beaten by Das in the final 5-0. Das also achieved a rare feat in the process as he became the first cueist from Odisha to win an open billiards, 10-red or 6-red snooker title outside the state. 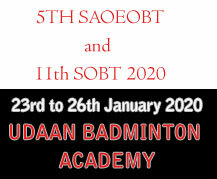 For his three title wins, Das received a total cash prize of Rs 30,000, while Behera pocketed Rs 8,000. Das became richer by another Rs 7000 for registering highest breaks of 74 and 50 in 6-red snooker and billiards respectively. The 147 Snooker Academy Director Sidharth Raj gave away the prizes. However, in snooker doubles category, Das and his statemate Soubhagya Behera lost to Jharkhand opponents 1-2 in the semifinals. PHOTO: Subrat Das with his trophies in Ranchi on August 9, 2018.